The African Senegal Parrot has worked its way up on the list of top picks for pet birds. 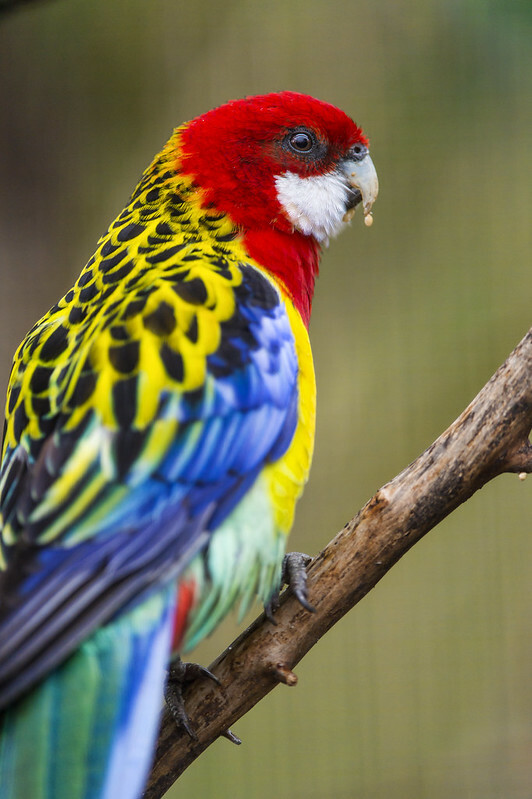 Here are 5 of its best personality traits that help make it a great choice for a pet Parrot. Quieter Than Many Parrots-Sometimes the Senegal is listed as a quiet bird which is absolutely true, except when it's not. Even though they are not prone to making screaming and screeching sounds as frequently as some parrots, when they want to be heard they have no problem making it happen. In their defense, they are not usually noisy except when excited or wanting attention. And as always, a lot will depend on your individual bird. Can Entertain Themselves-These are pretty independent birds that do well without another bird sharing the cage with them. With a variety of toys that are rotated in and out of the cage frequently, they are happy spending their days exploring, swinging, climbing and chewing their toys for stimulation. They still will need to spend several hours out of the cage each day for proper exercise. They will also need several hours of human interaction daily to remain tame and to continue to foster trust and affection between caregiver and bird. Talkers-Many learns to speak well, while others tend to sound mechanical when speaking. There are still others who never learn to speak at all but enjoy whistling, and imitating household sounds such as doorbells, alarm clocks, or microwaves. 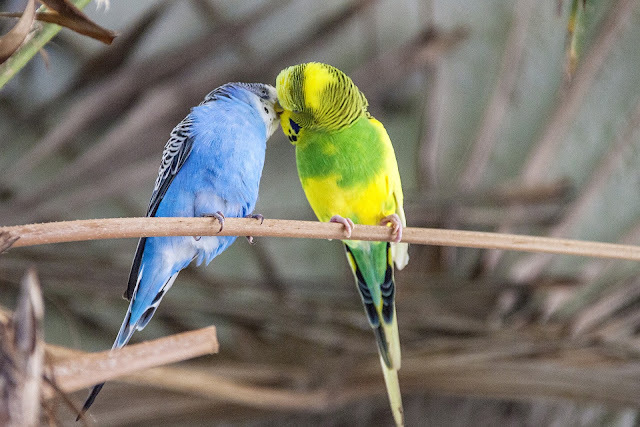 There are a number of videos and books written about the best way to get your bird to talk, but ultimately they are no guarantee that the bird you've chosen will do so. The best way to ensure that your bird will talk is to hear it talk before you buy it. Highly Trainable-Senegals enjoy short, but regular training sessions for tricks with the outcome being great tricks and a stronger bond between you and your bird. Remember to go slowly, be consistent, and reward with a treat when they have done a good job for you. Never, ever, scold or punish your bird if it does not meet your expectations. This will only injure your relationship with your bird and lessen the chances of getting your Parrot to learn the trick. Fun and Entertaining-With proper toys, perches, ropes, and a swing or two they are energetic birds that are highly entertaining. Watching them can be a lovely way to unwind any time you have a minute to watch the show. Although owls are declining quite rapidly throughout the world, there are still some that are up for sale in the market, especially in Europe. However, advice that is usually given about owls is that you should never think of having one because owls do not make pets. It has actually been considered illegal in some countries. There are states in America that have set up a law requiring owls to be handled only by those people who are qualified and licensed individuals. One reason why owls do not make good pets is that of their instinct that is much linked to the killing, which makes them destructive. Owl's talons are very sharp and they can be very dangerous to a human being. 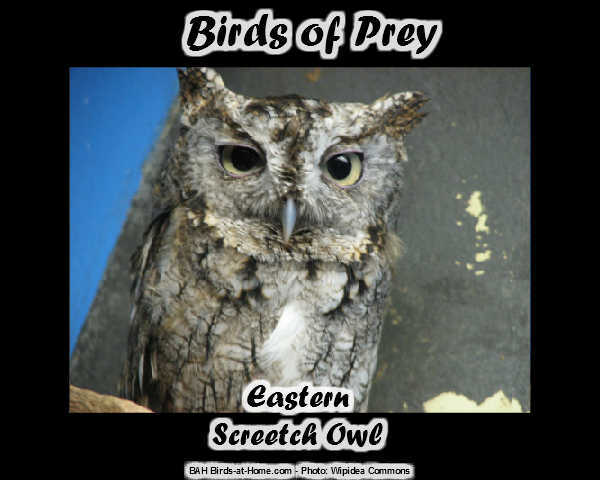 Qualified bird handlers have also fallen victims of an owls attack. Owls are ideally active at night and so they can give you a lot of trouble at night, especially during the mating season. Owls don't make good pets because they are considered as one of those birds that have a long life span and so intending to keep one becomes a lifetime commitment. There are those that can live for well over 20 years with some small species living for about 10 years. The specialized treatments required do not make owls good pets. If you are the caregiver you need to learn about their diet, signs of illness and the behaviors related to them. You also need to know that owls are carnivores and they require a regular supply of meat. These Macaw parrots are beautiful and have very bright colors. 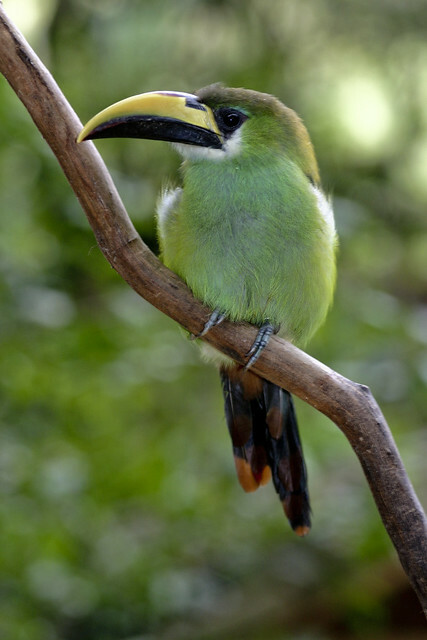 They are part of the parrot family and there are several types. They originally come from Central and South America rain forest. In their natural habitat, they flock from anywhere 10 to 40 other birds. Macaws are very loud squawkers and screamers in their natural habitat echoes through the forest. There are plenty of nuts and fruit to blend in with and eat. There are 17 species of Macaws they are extremely intelligent and very social birds. They have long tail feathers. They will sleep in the trees at night for protection and in the morning they are out looking for snails, bugs, fruit and nuts. The male Macaw takes care of his family. They actually mate for life; he feeds the female and the young. They are a very playful bird and will make good pets if you put time and effort into training and socializing with him or her. That means training and learning all about the needs of these beautiful colored birds. Make life good for them and they will make life grand for you. You will have a great relationship together. There are several varieties that are extremely close to being endangered and they are the Hyac, Red -Fronted and also the Blue-Throated Macaws. There are two types sadly already extinct they are the Glaucus, and the Spix Macaw is gone from the wild. If you are interested in one of the Macaw do your homework. Because remember if you take good care of your Macaw they will live as long as you or longer. This is a lifelong commitment. 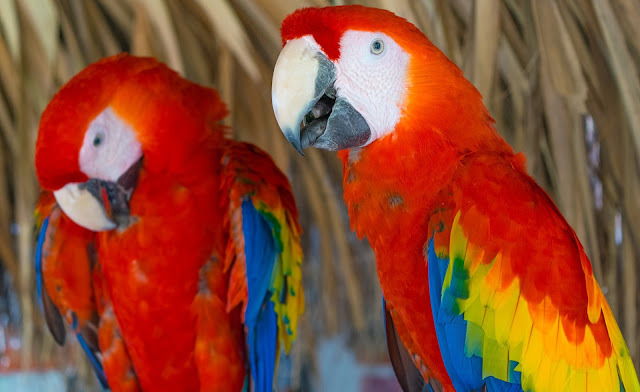 You can talk with Macaw owner through forums and other internet sites for their experience and to learn more about the bird. The internet is a massive place to learn more about Macaws. Assuming you did all the necessary research. I feel the best bet would be a breeder because they have more birds to pick from of the same kind and has the most knowledge of the birds. This is very important to know as much about the Macaw as possible where ever you buy. Find out whatever information you can, this will help you with the discussion of the Macaw you want to pick. You could also buy from a reputable pet shop but most likely they will not know too much about the bird. Also, the most pet shop isn't going to have a good selection like the breeder. You might also think about having your new bird checked by an avian veterinarian before you take it home. The breeder will sometimes have the bird checked out by his avian veterinarian he will have the result and the price of the bird will most likely be higher. They will check for the CBC and culture of the throat and vent and also a Chlamydia screen. One other thing you should know if buying from a breeder find out if the parrot is weaned or not. It is better if it is because this is a very stressful time for the Macaw . If you have other birds at home you might want to quarantine them for about 30-45 days. Just to be on the safe side. The health of your Macaw is very important. Here are some Macaws you may want to look into. 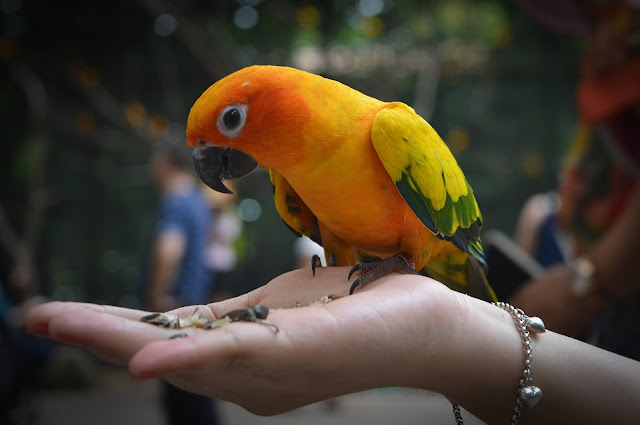 A very popular, playful, and fun a loving parrot. This parrot usually adapts easily to its surroundings and has a very good personality. By far the largest Macaw it is nearly 4 foot in height with a very large wing span probably not a starter parrot. This Macaw would do better with his own room. This Macaw is about 2 foot high and has a very nice sounding voice. Here are a few more you could look into. In conclusion: These parrots need lots of room and a commitment to give them a considerate amount of attention. Some of their downfalls would be that they are very noisy and apartment live is probably not going to work. They are a lot messier than the small parrot. But if you have the room and the commitment these parrots are wonderful.